From the billabong to the native plants, this bushland-style garden is a design triumph. The 23m x 6m billabong is the designs drawcard. Blessed with a large property in the picturesque Dandenong Ranges, the owners sought a landscape that would fit hand in glove with its glorious, natural surrounds. To achieve this, Chris Bissels of Full Potential Landscapes worked closely with the owners to integrate his ideas with theirs to create a quintessentially Australian garden. The 23m x 6m billabong is the designs drawcard. It is surrounded by large Coldstream rocks which at one end have been used to create an impressive waterfall. 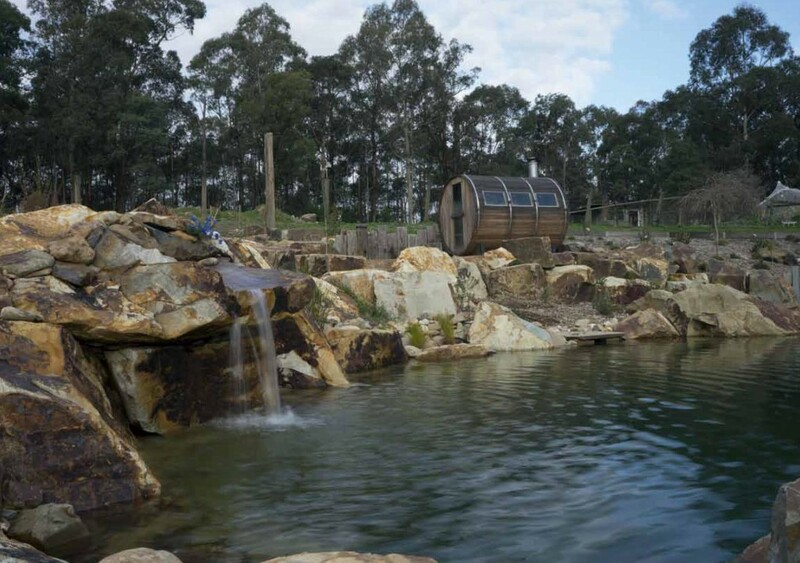 To add to the natural bushland charm the billabong is traversed by a rustic timber bridge and the edges of the billabong and entertainment area feature Castlemaine natural-slate crazy paving. Water management was a key element of the design. Water tanks collect rainfall from the roof which is then used throughout the garden , and the water stored in the billabong can be used the event of a bushfire. Runoff from the rear paddock was harnessed via a specially devised drainage system and diverted into a dam.